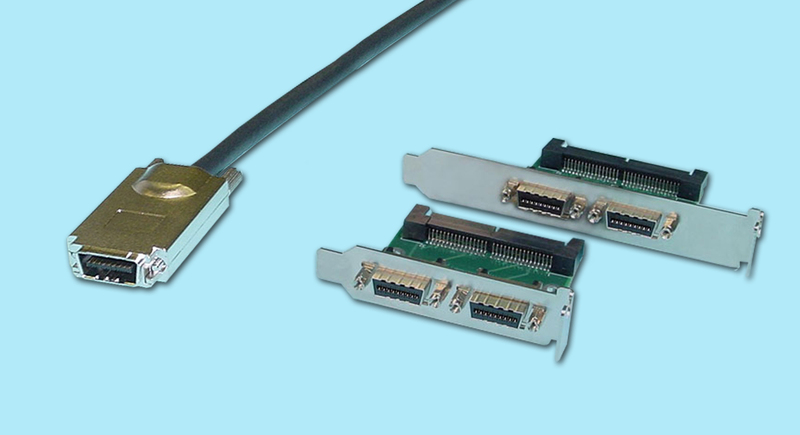 SAS SFF-8470 is a multi-use connector spec that is used in the manufacture of (early) SAS Cables, Infiniband Cables, and now the CX4 spec (10GBASE-CX4). Also known as IEEE 802.3ak, CX4 supports 10-Gigabit Ethernet data transfer over 4-lanes of copper cabling in each direction (8-lanes total). For CX4 applications, the typical length limitation is 15m. However, with ‘active’ signal boosters, lengths beyond 15m are possible.